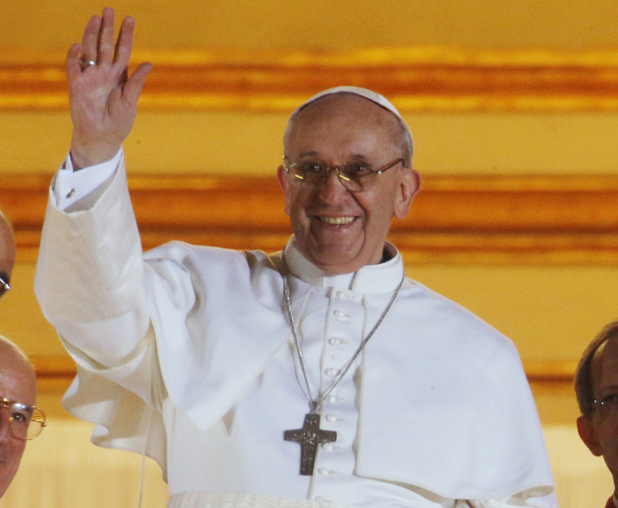 The new pope is Pope Francis. I have yet to determine whether this is for Francis of Assisi or Francis Xavier (or Francis de Sales). Most sources say it’s Assisi. So that means we have a Jesuit pope from South America who chose the founder of another religious order for his namesake. Weird, right? But it’s not weird as we look back to the writings of his predecessor. Benedict often wrote of the decline of Europe and of its roots to Catholicism. He often looked to Africa and South America as wellsprings of the Church. He noted that, in Africa, “None of the faith fatigue that is so prevalent here [in Europe], none of the oft-encountered sense of having had enough of Christianity was detectable there.” He called upon the youth of South America “to transmit the enthusiasm of your faith to your contemporaries from all over the world!” He planned for the 2013 World Youth Day to take place in South America, in Brazil. 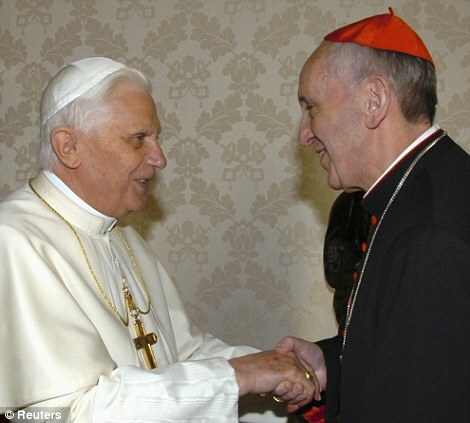 He has lived out Benedict’s reminder that “that man can only accept himself if he is accepted by another. He needs the other’s presence, saying to him, with more than words: it is good that you exist.” In 2001, he visited a hospice where he kissed and washed the feet of 12 AIDS patients.